What is your Grange story? Every Grange has at least one story to tell. Most Granges have numerous stories to tell - such as community service projects, Grange events, meetings and activities, long-time members, and a vast array of interests. What is content marketing? It is the creation and distribution of relevant information to your audience. A recent article published by Nancy E. Schwartz* compares content marketing to a campfire. 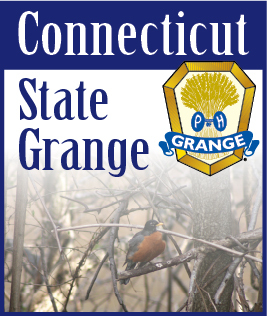 • Hang posters in your local library, church, grocery store, laundry mat and pizza place to promote your upcoming Grange meetings and events. It is important to produce content that is both engaging and exciting. Content that catches the attention of the reader. Speak from the heart, and always see the human aspect of your content. Think about what you as a reader or viewer likes to see. It could be something as simple as a new recipe, craft or gardening tip to share, or as important as donating dictionaries to the local elementary school and honoring a 50-plus year member. The most difficult part of Content Marketing with your Grange is finding the time to create a variety of content to keep your marketing active, fresh and current. Having a Facebook Page for your Grange is one thing - but make sure it updated regularly or it will be forgotten about and overlooked by your followers. Work together as a Grange marketing team. Share the responsibilities within your Grange, that way more members are involved and the work load is lighter per person. Don’t let marketing your Grange slip through the cracks. Set clear goals and establish the foundations to tell your Grange stories. Ignite the fire of your Grange through content marketing. * Source: Nancy E. Schwartz, GettingAttention.org, February 2012.